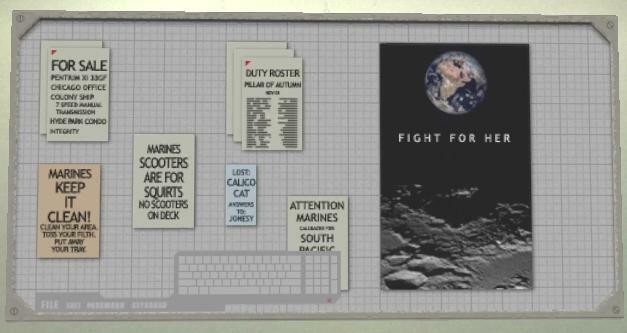 The above picture is an Easter Egg of sorts from ODST 's Windward Firefight map. I call him Face Guy. To find him, one must jump off the player zone just beyond where the rocket launcher is housed. As you fall, look towards the wall you just jumped from and you'll spy him. 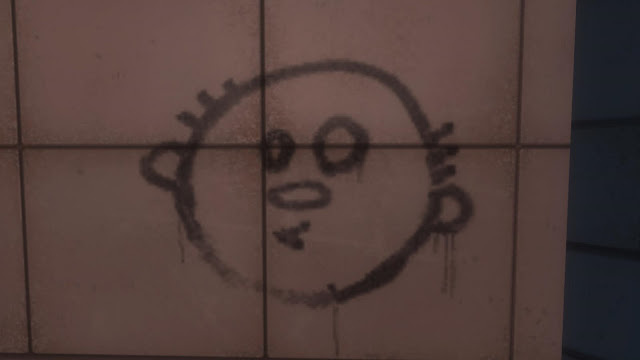 This is the only Easter Egg I found in ODST! Face Guy has been bugging me for ages as it reminded me some thing. It's nagged me for months. Was it Frankie? Was it a Bungie employee? Someone's self portrait? As I was walking home from work today, I figured out who it was. 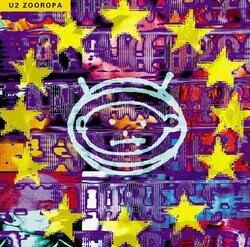 U2's The First Time came on my iphone - and with it, the album cover of Zooropa . Now, I'm not saying Face Guy is U2's logo but the resemblance was enough for me to go, "ooohhhh!!" You can argue they are nothing a like but they must surely be from the same family, they have the same ears! Update 3: Check out the anger in the comments! 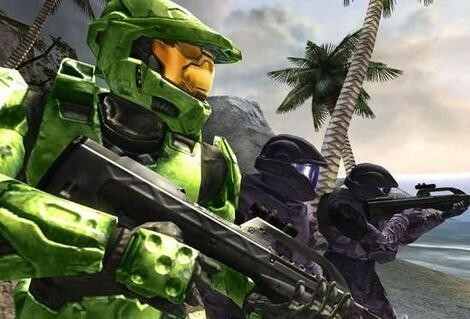 Is the Master Chief Noble 6? No. The Master Chief is not the spartan referred to as Noble 6. Noble 6 is the Lone Wolf. The Unnamed Spartan. The Ghost Who Walks. You know, the spartan that survived Pegasi, sir. In fact you are Noble 6. You get to inhabit the character as you venture across the planet Reach with team Noble. This is not the Master Chief. He's having a sleep on the Amber Clad. 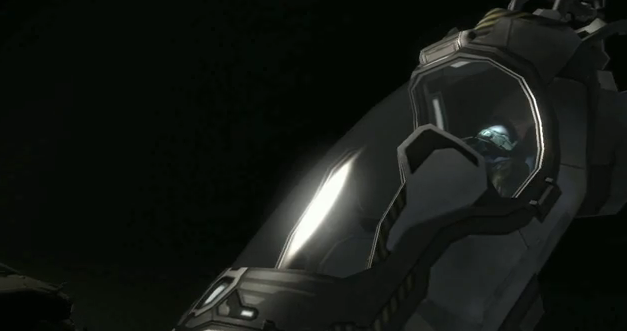 This is the Master Chief. Awake. Bungie, have laid on an Easter egg in the new Reach Vidoc which is a replay on the semi-infamous lost cat poster from Halo CE. 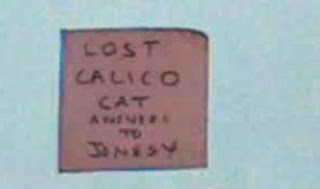 At about 1 minute 16 into the youtube version of the Vidoc is a screen of post-it-notes style presentation with this one near the bottom "Lost Calico Cat Answer to Jonesy"
Jonesy is the supposed name of a calico cat aboard the UNSC Pillar of Autumn. 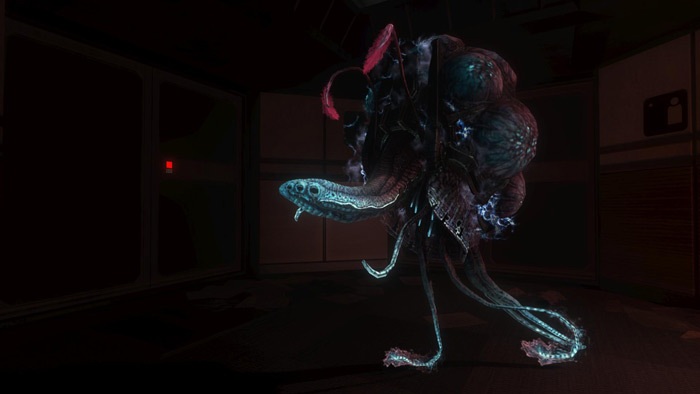 It was probably a pet of someone on board the Autumn and was on board during the Battle of Reach and when the Autumn reached Installation 04. This message appeared in Halo CE and also H3 in the Crow's Nest level. Jonesy is reference to Lt. Ripley's cat of the same name on the Nostromo, from the first Alien movie. Read more on Halo using Alien inspiration here. Extra For Experts: Note in the second picture, the message board also contains a Keep It Clean message. Those who've played ODST will recognise that as one of that game's slogans (it was used on in the promotional work). I know this is a blog about Halo: Reach but lets face it, I love all Halo. So there's no reason why I can't focus on other things within the Halo universe eh? Anyway, I noticed people have been looking for 'ODST plot' on my other blog and seeing as I write about Halo here, I bring you, dear googler, a Halo 3: OSDT plot summary. Halo 3: ODST begins with ODST soldiers Dutch, Romeo, Mickey and the Rookie discussing plans for assaulting the Covenant Prophet of Regret's ship above New Mombasa. Buck arrives and introduces Dare in what appears to be a strained pairing. It is clear from tone of the introduction she is now in charge. These characters form the heart of the storyline. The team enter their HEVs and drop (hence the ‘prepare to drop’ slogan for ODST soldiers) through the atmosphere toward the ship; at the last minute, Dare changes their trajectory to deliberately miss the carrier. The Covenant ship enters slipspace, sending a shockwave toward the ODSTs; the Rookie's HEV pod collides with another and crashes to the ground, knocking him unconscious. He eventually awakens some 6 hours later and through exploring the streets of New Mombassa he proceeds to find clues as to what happened to his squadmates. Buck awakens after the drop and fights through Covenant troops to find Dare. After an encounter with an Engineer, he finds Romeo instead, and the two resolve to get out of the city. Dutch drops near a nature preserve and helps Marines while he goes to the city. Mickey commandeers a tank and fights his way along a Mombasa boulevard. Meeting up with Dutch, the Buck and Romeo defend an ONI base from the Covenant, blowing up a bridge in an attempt to slow the advancing enemy. However, they are quickly overrun and forced to destroy the facility to keep it from being captured. After a tense encounter they are evacuated by a Pelican from the top of the ONI building and they make contact with Buck, arranging a rendezvous at the police headquarters. However, when Buck and Romeo arrive, they see the Pelican get shot down and crash. They rescue Dutch and Mickey, but Romeo is seriously wounded in the fight as the result of a very angry Brute attacking. The squad then hijacks a Phantom transport ship, but instead of leaving the city, Buck, literally in a change of heart, decides to turn back and find Dare. 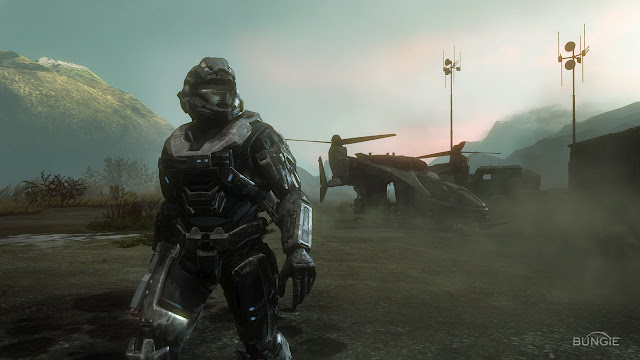 Back in the city, the Rookie is assisted by the Superintendent (the city’s AI, a type of Cortana aid), which leads him to Dare's position. She and the Rookie team up to reach the Superintendent's data core, which possesses information on something underneath the city the Covenant is looking for. Inside the core they find a Covenant Engineer. Dare explains that the Engineers are an alien race that have been enslaved by the Covenant, and this one decided to defect to the humans. The alien downloads the Superintendent's data into itself and Dare's mission changes from destroying the AI to escorting the alien to safety. The Rookie, Dare, and the Engineer reunite with Buck and fight their way out of the city. As they fly away in the transport they captured earlier, the ODST squad watches as the Covenant glassess the city of New Mombasa. In the game's epilogue, about one month has passed, and the ODST squad is still keeping guard over the Engineer. One of Halo’s greatest servants, Sergeant Johnson abrubtly arrives, informing the Engineer that he intends to ask it everything it knows about the Covenant and whatever it is they're looking for. To show it understands, the Engineer replies by lighting Johnson’s cigar. If the player completes at the game on Legendary difficulty setting a scene after shows the Prophet of Truth overseeing some Engineers uncovering a Forerunner artifact buried beneath the Superintendent's data core. This is presumbably some kind of passage way to the Ark that was central to the plot in the events of Halo 3 (remember ODST is set at the same time as the events of Halo 2, and obviously before the events of Halo 3). Is this the sexiest ever Joker cosplay?